Amsterdam-based artist Ronald van der Meijs designs architectonical installations and sculptural art, and he just finished a project called Sound Architecture IV that is made from 5,000 repurposed bicycle bells set on steel pins. As the wind picks up, the bells gently ring against one another, lending a visual and auditory component to invisible breezes. 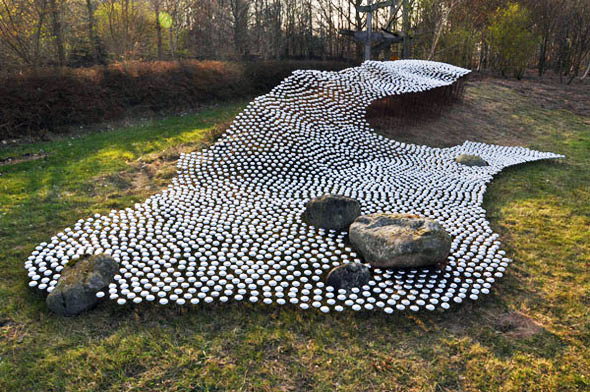 The installation is currently open in the art garden of the Anningahof Gallery in Zwolle, the Netherlands.